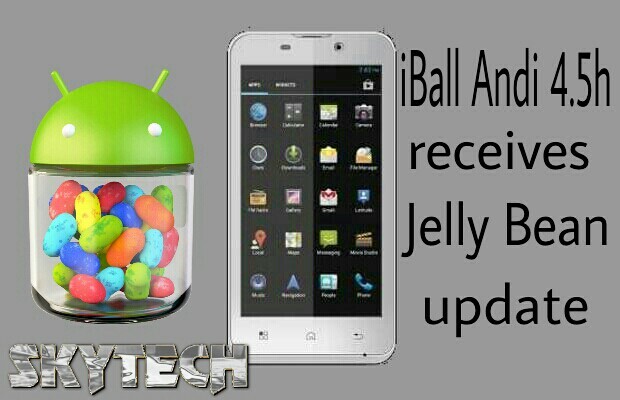 iBall Andi 4.5h launched back a few months ago. Which has its competition with Micromax A110 Superfone Canvas 2. Overall it’s a good phone in their Andi series. Its key feature is the 1GB Ram and the 8mp camera which is good for Gaming, Multitasking, and Photography. It is powered by a 1GHz Dual core Mediatek processor. And with a 4.5 inch screen with 540×960 pixels resolution it manages to give good output. 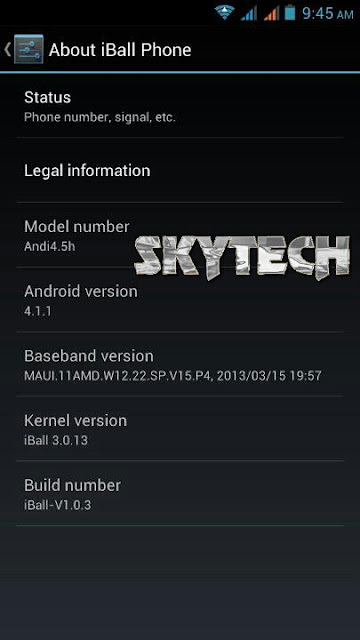 It runs on Android 4.0 ICS. Or should we say used to, Yes now it has received a update to Jelly Bean 4.1.1. The brings many improvement over the previous ICS just like which we saw on A110. You will now get all the goodness of JB such as Google now, Project Butter etc. The transactions in the app drawer will now be smoother due to project butter. The camera interface will also be changed along with the gallery. You can update your iBall Andi 4.5h from your nearest iBall service center it will hardly take 15-20 minutes depending on the service their service. As OTA updates are not supported you’ll have to visit service centre. If you own this device then what are you waiting for rush to the nearest iBall service center and update your device to Jelly Bean now..!! But don’t forget to backup all your data including Contacts, SMS, and Apps. And if your device is rooted then update will unroot it.